In the concrete jungle that is most urban areas, it is easy to forget about the important role that wildlife plays in our ecosystem. 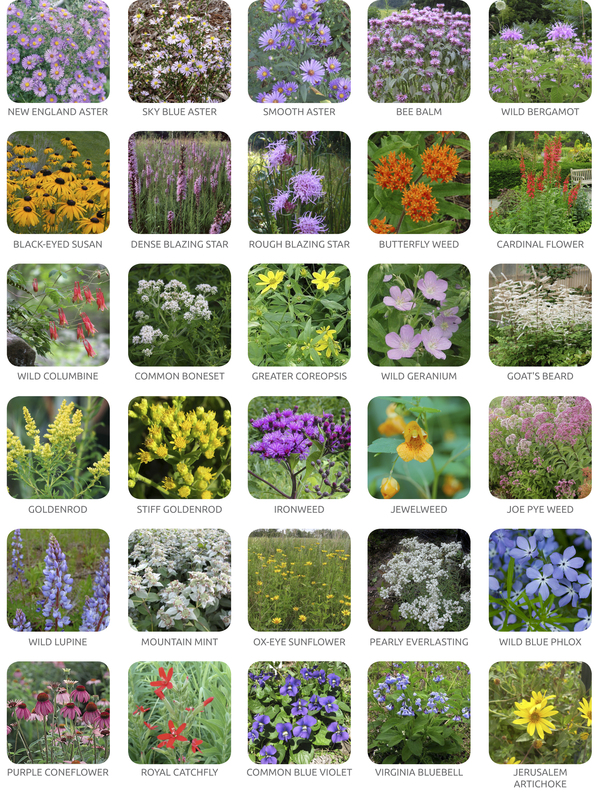 Vacant lots can serve as parcels that support a more diverse urban ecology by creating sources of sanctuary and food for wildlife species. 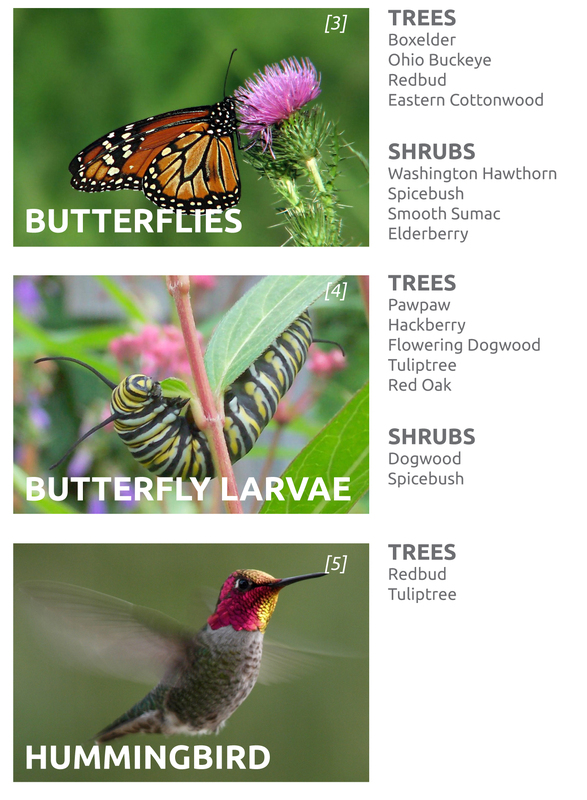 Bees, birds, and butterflies are important to our ecosystem for both pollination and for the dispersal of many plant species. Promoting the well-being of these species by creating suitable habitats in which they can not only survive, but thrive, strengthens the complex ecosystem of which humans are a part. Different wildlife species require different habitats to meet their needs. 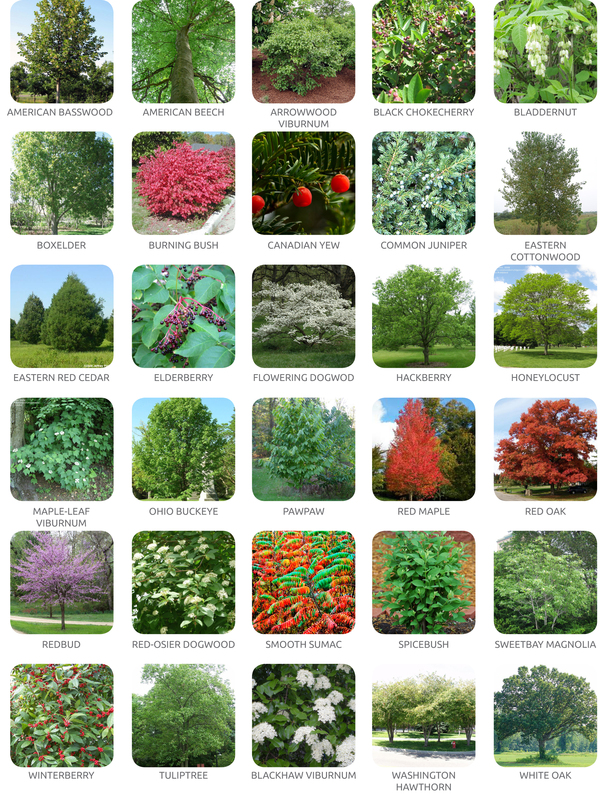 The following section indicates plant species that are appropriate for attracting the specified kinds of wildlife. 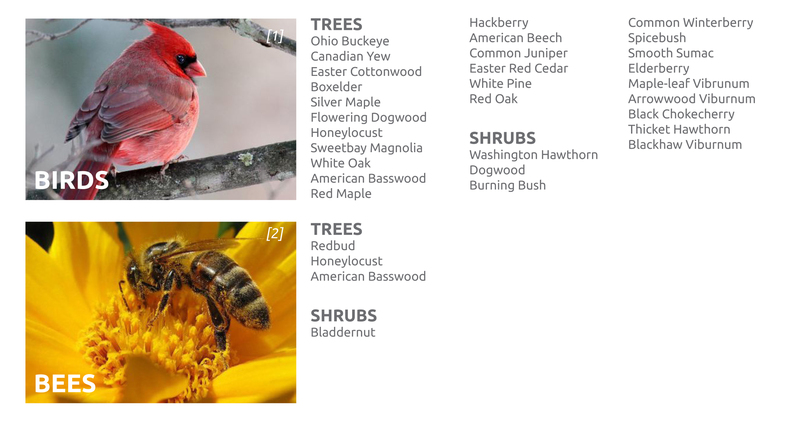 Images of wildlife-attracting trees, shrubs, and perennials follow on subsequent pages.